Question: Could I Have Glaucoma? At my last visit to my optometrist, I was told that I have increased eye pressure. Could I have glaucoma? Answer: You are right to be concerned, but having increased eye pressure does not necessarily mean that you have glaucoma. Increased eye pressure does, however, put you at risk for developing the disease. Glaucoma is present when the optic nerve is damaged. Vision loss and blindness will likely result if glaucoma is left untreated. If your eye doctor tells you that you have increased eye pressure but your optic nerve is not damaged, then you do not have glaucoma. Not every person with elevated pressure will develop the disease, either. Some people with high pressure never develop glaucoma because their optic nerve can tolerate the pressure. A high level of eye pressure may be normal for some people, but it is important for an eye care professional to determine what level is normal for you. It is very important not to read too much into the exact pressure number at let your doctor make an effective evaluation. Eye pressure is like blood pressure, one high reading does not mean much. It is more important check the pressure a number of times over a certain time period before making assessments. In 2002, a group of doctors completed a study called, "The Ocular Hypertension Treatment Study: A Randomized Trial Determines That Topical Ocular Hypotensive Medication Delays or Prevents the Onset of Primary Open-Angle Glaucoma." The study was designed to help doctors make a better decision on whether to treat patient with high eye pressure or just monitor them closely. It was a five year study. Doctors followed patients with elevated high pressure (ocular hypertension) over a fiver year period. Half of them were treated with drugs to lower eye pressure and some of them were not. At the end of the study, they found that the probability of developing glaucoma was 4.4% in the medication group and 9.5% in the observation group. The results showed that eye pressure lowering drugs were indeed effective in delaying or preventing the onset of primary open angle glaucoma in people with elevated eye pressure. The study pointed out that this does not mean that all patients with borderline eye pressure should be treated with medications.The study recommended that doctors should consider treating individuals with elevated eye pressure who are more at risk for developing glaucoma. 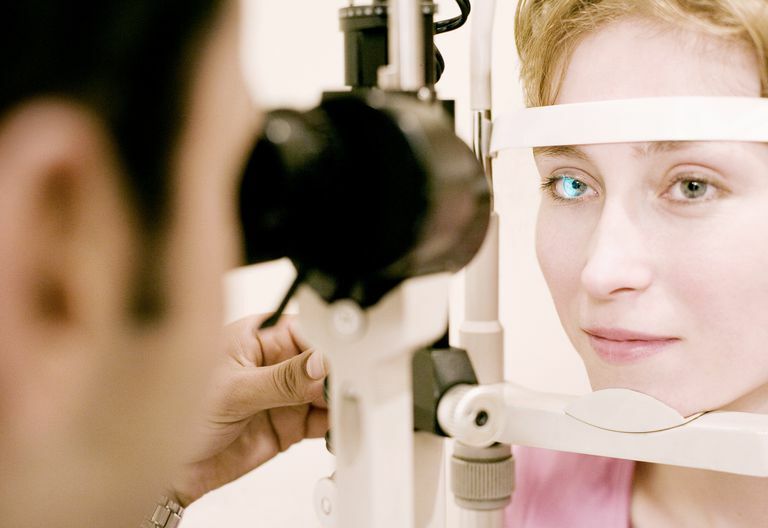 Annual comprehensive eye exams are of utmost importance for this reason. Glaucoma is a silent disease in its early stages. The first symptom of glaucoma is often vision loss, vision lost that cannot be restored. If detected early enough, however, glaucoma can be treated and managed to prevent further loss of vision. US Department of Health and Human Services, National Eye Institute, National Institutes of Health. Sep 2003.